And here begins the next chapter of my boyfriend and my epic roadtrip around Australia a few months ago… After weeks of travelling through the Top End and Outback of the Northern Territory, we made our way to Adelaide. It was like a breath of fresh air to be back in a lively city after so much time in the Outback. Adelaide is a city on the south coast of Australia and the capital of South Australia. 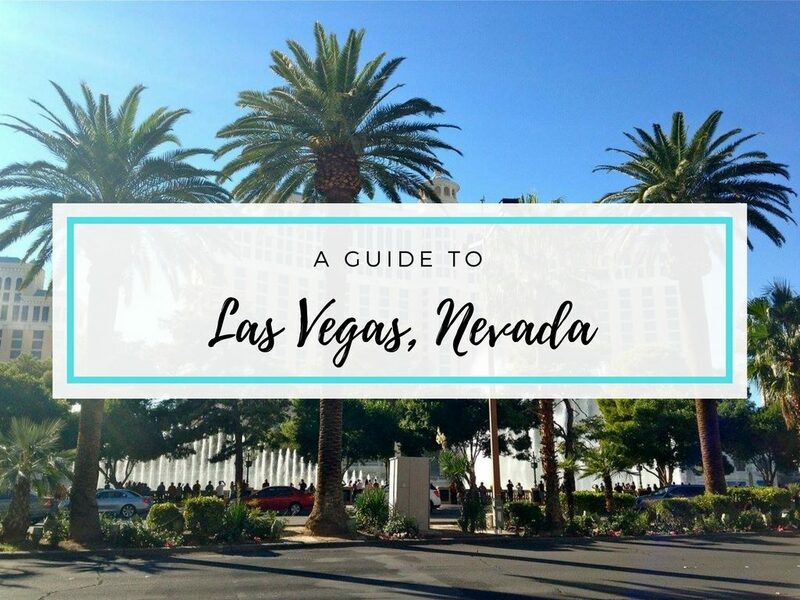 Before visiting, I had heard mixed reviews of the city, so I was excited to experience it for myself. And I really enjoyed it! The CBD reminded me so much of Melbourne that I easily could have been back there. And even more amazing than the city itself are the beautiful surrounds. South Australia was actually the only place in Australia to make Lonely Planet’s list of top places to visit in 2017, and I could easily see why. 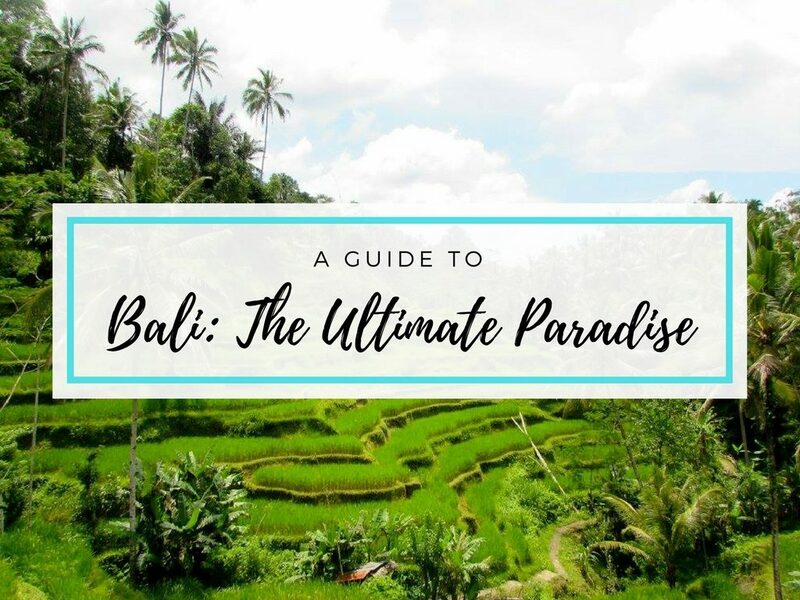 Outside the exciting city, there are some amazing world-class vineyards, beautiful beaches, pretty countryside, and quaint little towns and villages. 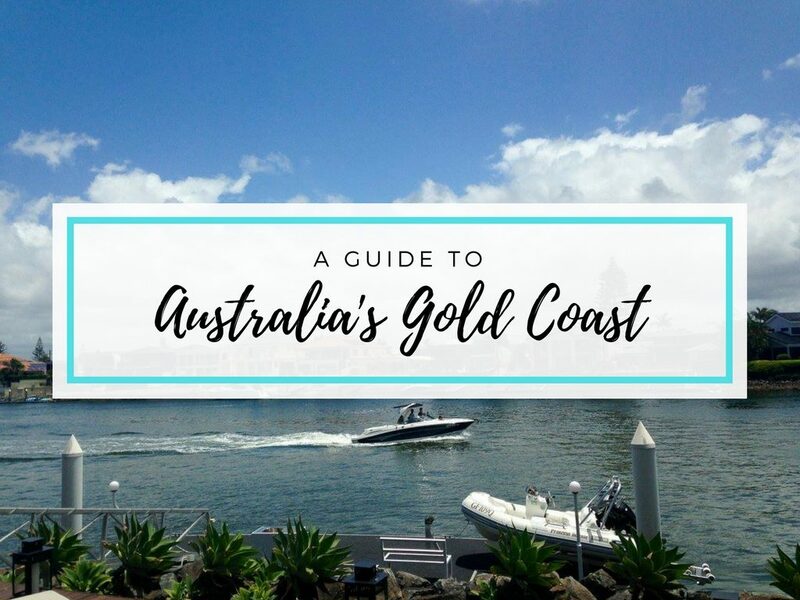 Keep on reading for some of the best things to see and do around Adelaide and why you can’t miss it on a trip around Australia. I’m a big fan of visiting markets in different cities I go to. So far my favourites are Chelsea Market in New York, Covent Garden in London, and the Queen Victoria Market in Melbourne. And Adelaide’s Central Market isn’t too far behind! 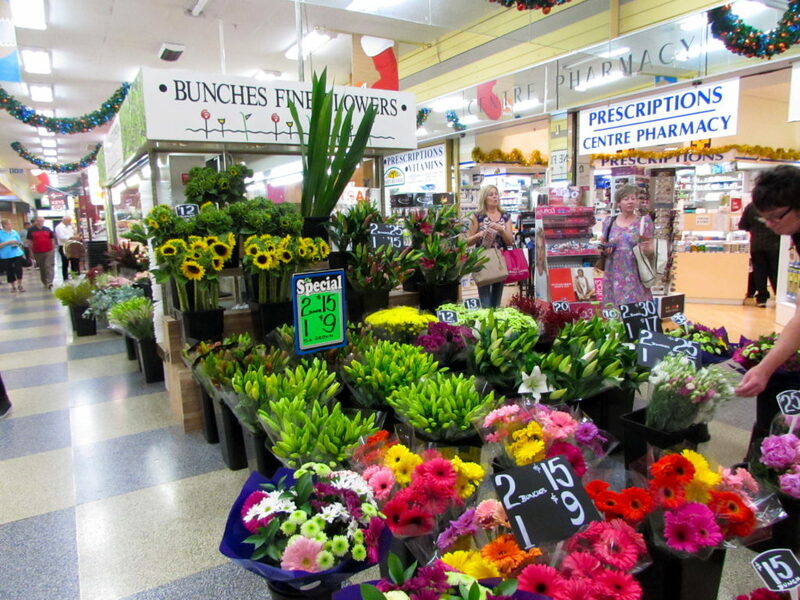 There are tons of stalls selling all different kinds of produce, meat, cheese, fish, and flowers. There are also stalls selling all different types of food, so it’s a great place to go for lunch. Even just walking through, there’s a very cool atmosphere and lots of colourful artwork. If shopping is on your agenda, this is the place to go. The street reminds me so much of Melbourne’s Bourke Street Mall. The Mall section of Rundle Street is pedestrian-only and is lined with every shop you could possibly want. (Well of the shops you can find in Australia—no Primark unfortunately!) 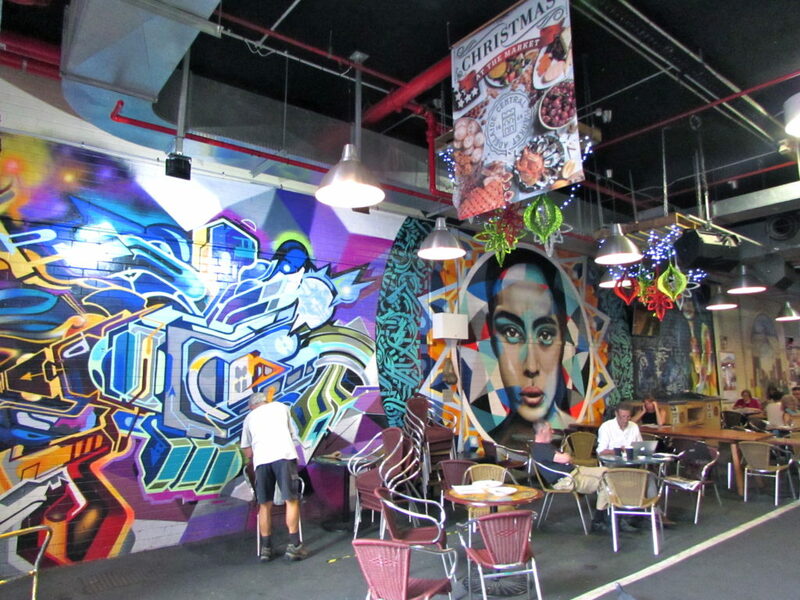 This is also a great spot for people watching, viewing some cool art installations, and seeing street performers. Completely surrounding the CBD is a belt of parklands. It’s actually a series of 29 different parks interconnected with each other. 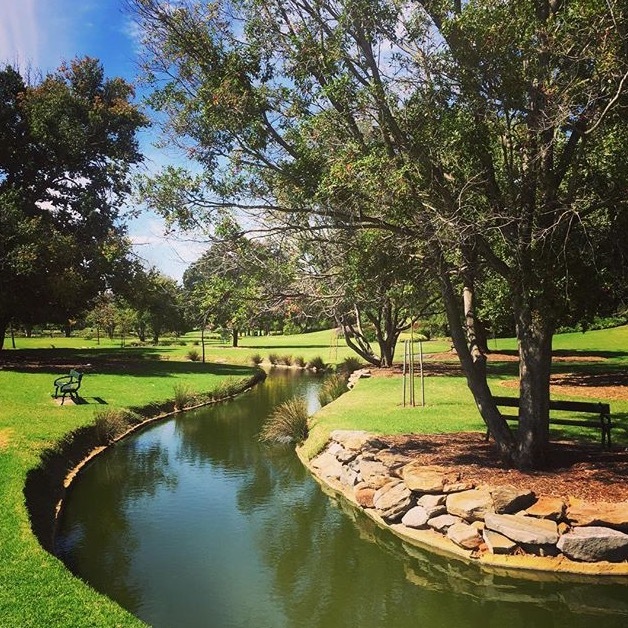 There are parks and gardens of all different styles, and you can walk or bike along the River Torrens, which goes through the parks above the CBD. Adelaide has actually been rated the greenest city in Australia and one of the greenest cities internationally. This is due to the amount of parklands, along with the city’s innovative environmental initiatives. When we got off a bus in the city centre, this was the first area we saw. I immediately loved the city because of it! 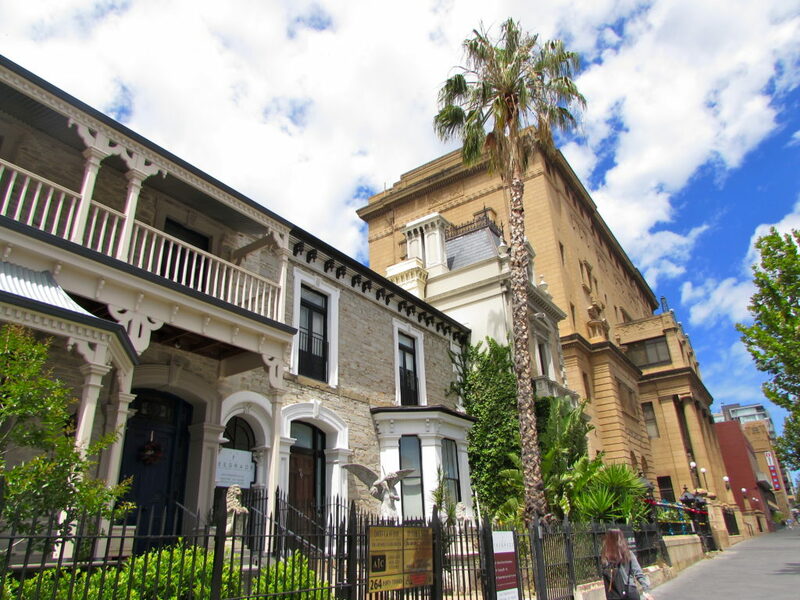 There are beautiful Victorian houses on one side and museums on the other. 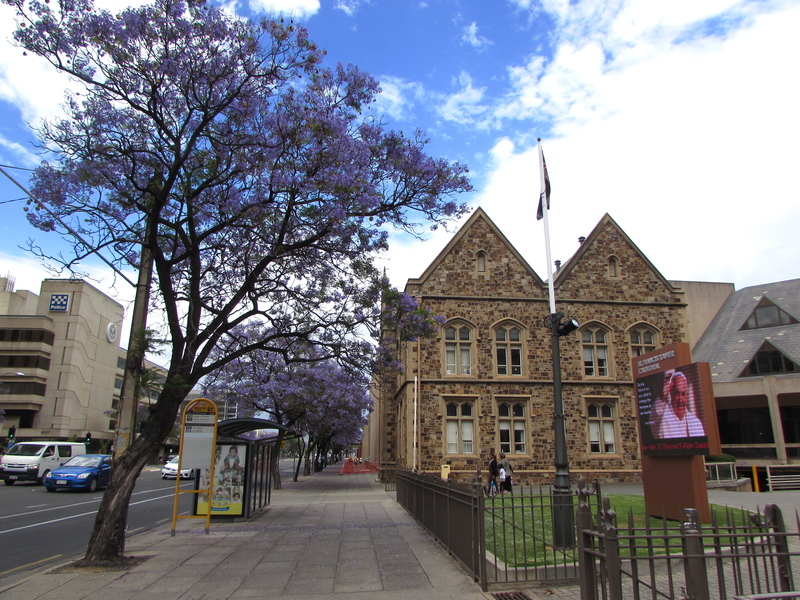 You can visit the South Australian Museum, Immigration Museum, City Gallery, and State Library of SA, along with the University of Adelaide, National War Memorial, and the Adelaide Convention Centre. 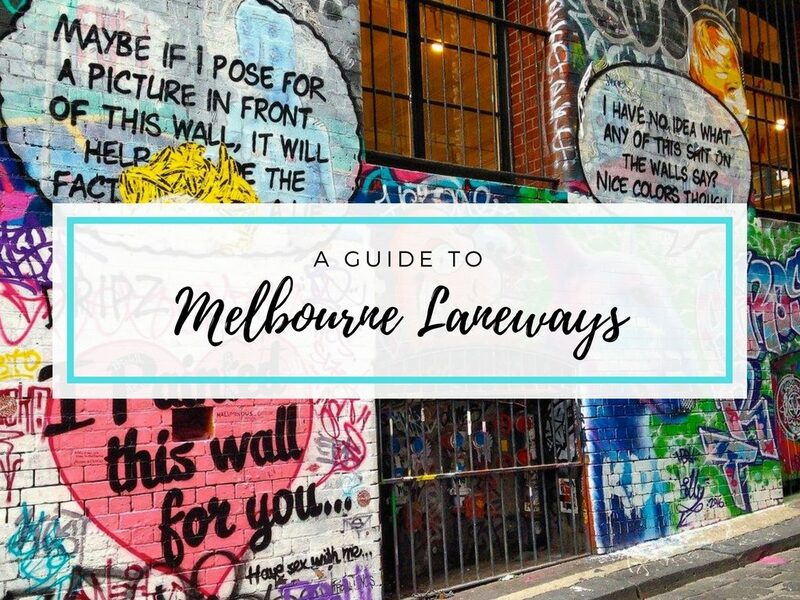 If you’re looking for a day of culture, you’ll be spoilt for choice along this street! If you’re a fan of desserts and sweets, which I 100% am, you need to visit St Louis. Here, you can get some of the best desserts, ice creams, and milkshakes you could possibly imagine. The menu is like a beautiful book, and I had such a hard time narrowing it down to one thing to order. I eventually decided on a Nutella peanut butter milk shake, which honestly might be the best milkshake I’ve ever had in my life. Their ice creams and cakes looked beyond amazing as well. It’s probably a good thing I don’t live in Adelaide actually, because I have a feeling I would go to this place far too often! 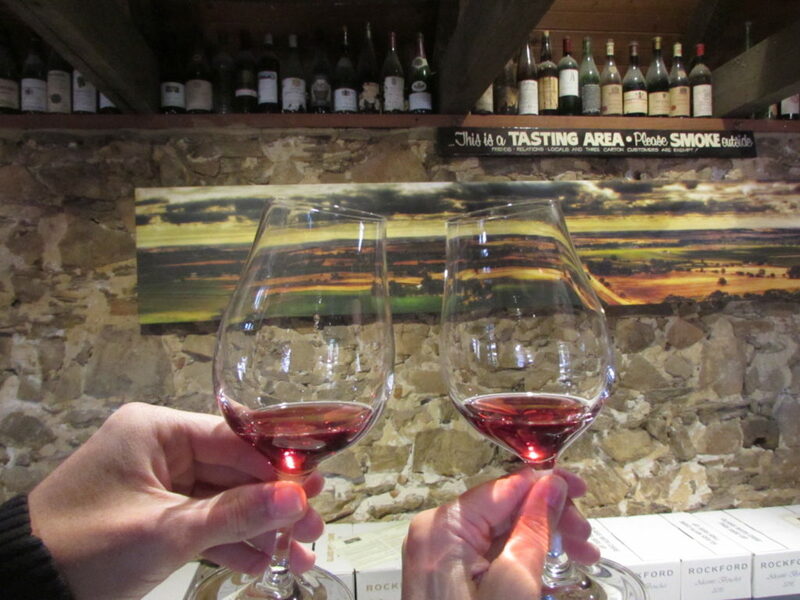 If you are visiting Adelaide, you can’t even think about skipping the Barossa Valley! The Barossa has to be one of the best wine regions in Australia, if not the world. 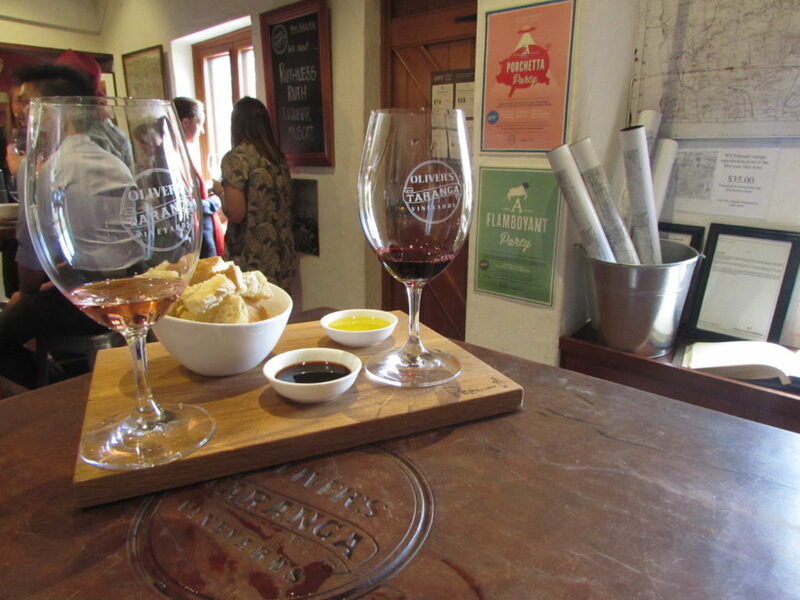 After spending some time in the city, make the 45-minute drive out into the Barossa for a totally different experience. The Barossa does all different wines, but their real specialties are reds, most notably Shiraz. I’m usually not a big fan of red wine, but the Barossa reds were damn good! There are an insane number of vineyards to choose from, and I don’t think any of them could be a disappointment. A few of our favourites were Rockford (where my boyfriend Will discovered his favourite wine of all time) and Seppeltsfield. And to make the experience even better, most of the cellar doors will let you taste as many of the wines as you’d like for free! And while visiting one wine region is good, visiting two is even better! McLaren Vale is about the same distance from the city as the Barossa, just in a different direction. This area is packed full of vineyards, which are just as good as the ones in the Barossa! McLaren Vale is also especially known for their red wines and Shiraz. 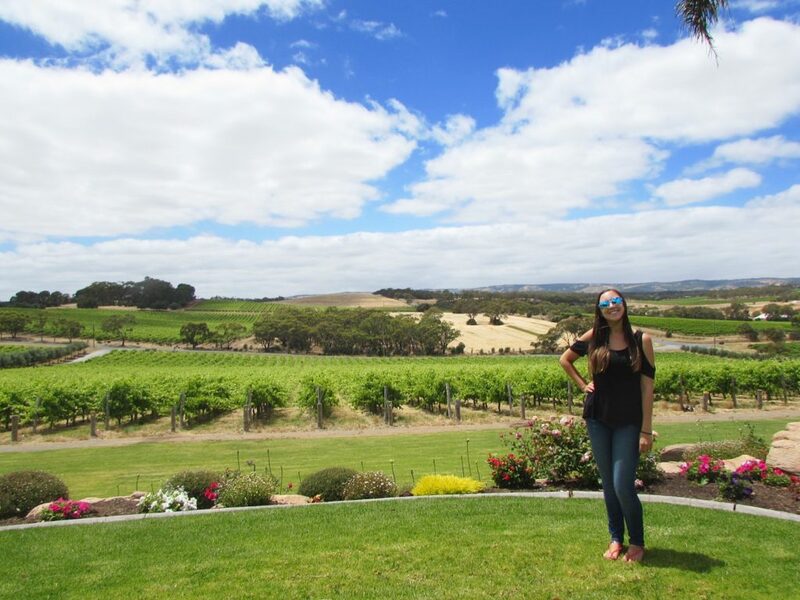 We visited a few vineyards in McLaren Vale, and along with great wine, they also had beautiful views. Our favourites were Molly Dooker, Oliver’s Taranga, and Coriole, which produces Mediterranean-style reds. All of our tastings here were free as well, and the wine was amazing! This little town is completely unexpected. It’s a German settlement right in the heart of the Adelaide Hills. Walking through the main street, you see German restaurant after German restaurant, and even the architecture has a northern European flair to it. 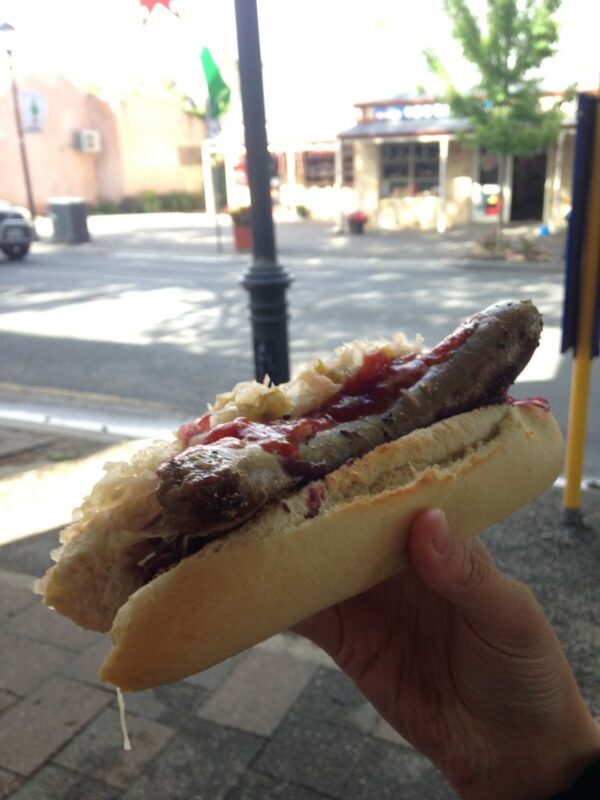 Hahndorf makes a great stop on your way back to the city from the Barossa Valley. You can take a nice walk, and get a German sausage and pretzel to help soak up the wine! I told you Adelaide reminded me a lot of Melbourne, right? Well they even have an answer to Melbourne’s bohemian, beachy area St Kilda—Glenelg. 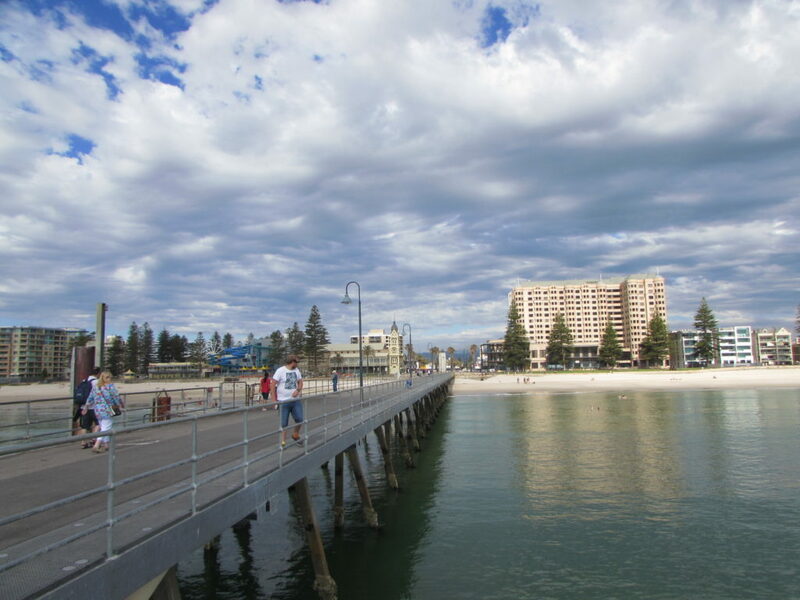 Glenelg has a pretty beach and pier that you can walk along. And not far from the beach are some streets full of restaurants, bars, and shops. You can see some really pretty sunsets on the beach here. 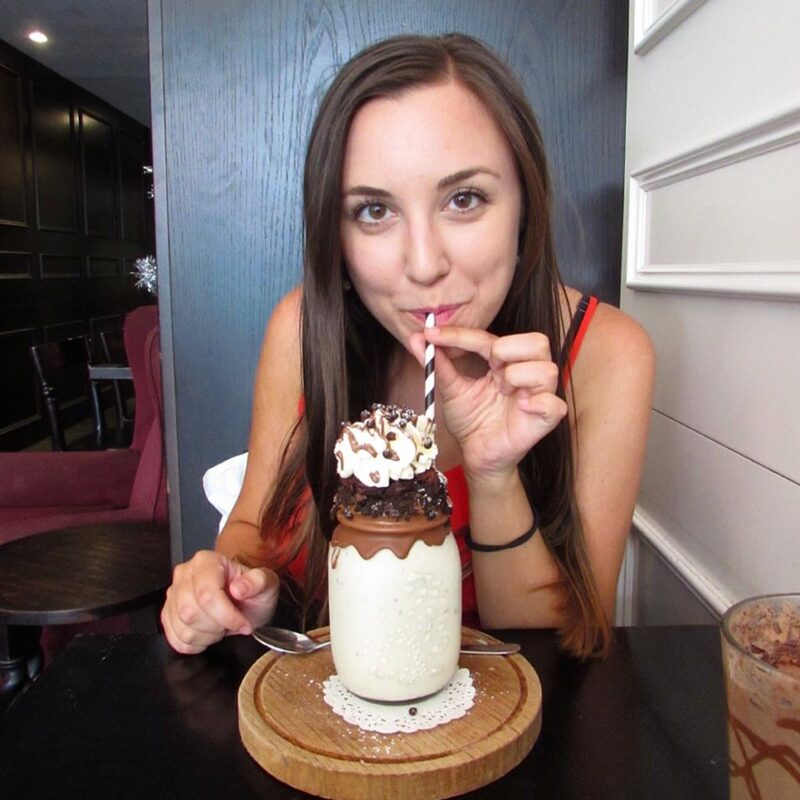 And if you missed St Louis dessert house in the CBD, they even have another location right on the main strip of Glenelg! With all the blog posts and articles I read about Adelaide before we went, I never heard a single thing about this place until we were talking to some locals at a pub quiz. It was one of the highlights of Adelaide for me, so I’m not sure how it’s not more popular! 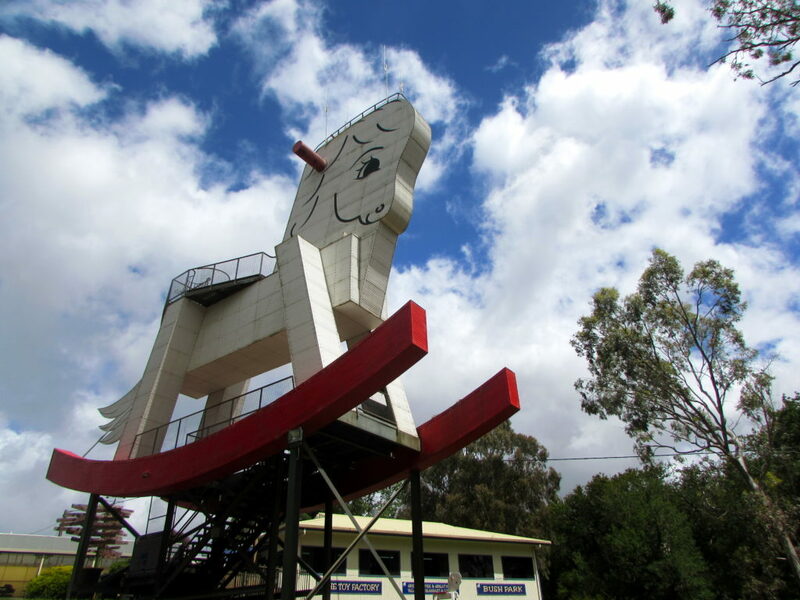 This little park is located within the Adelaide Hills, and you can easily tell when you’ve made it because of the massive wooden rocking horse outside! There are a few different attractions and a toy factory with lots of cool homemade toys. But by far the best part—the wildlife park! You can enter into the park for $1 and buy a massive tub of food for $5. Definitely worth the price! Inside, there are tons of animals that you can pet and feed. There are kangaroos and wallabies, llamas, emus, peacocks, goats, ducks, sheep, various birds, and more wandering around free. They’re all used to people and super friendly, so they’ll come right up to you to be fed. The llamas could get a bit pushy, but the wallabies were the sweetest! 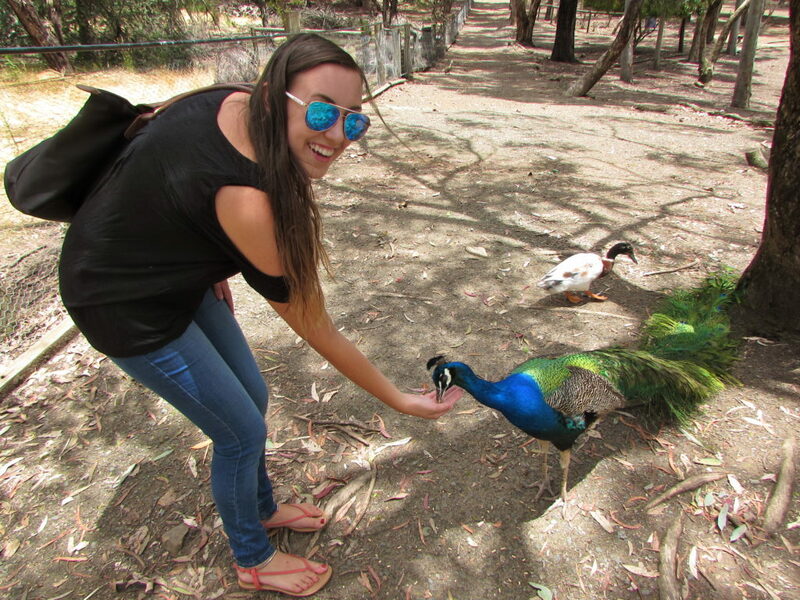 Feeding emus out of our hand was an interesting experience as well. I was terrified when I saw its massive beak pecking down at my hand and even let out a scream! I had such a fun time at this park and don’t think I stopped laughing or smiling the whole time! The Adelaide Hills are the area to the east of the city. At the bottom end is Hahndorf, and at the top end is the Barossa Valley. 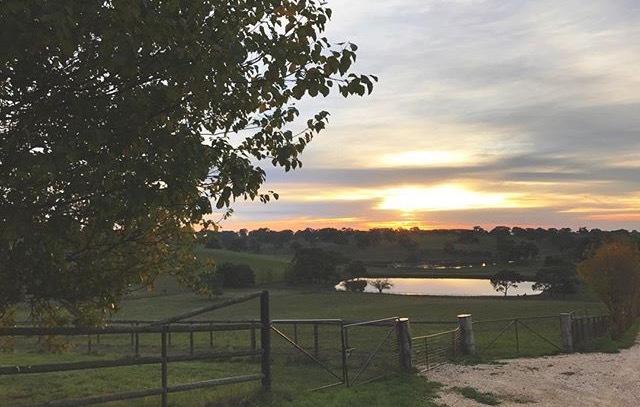 On your way out to the Barossa, going through the Adelaide Hills will take you on a super scenic drive. There are winding roads, and of course lots of hills with pretty views over the farms and vineyards. 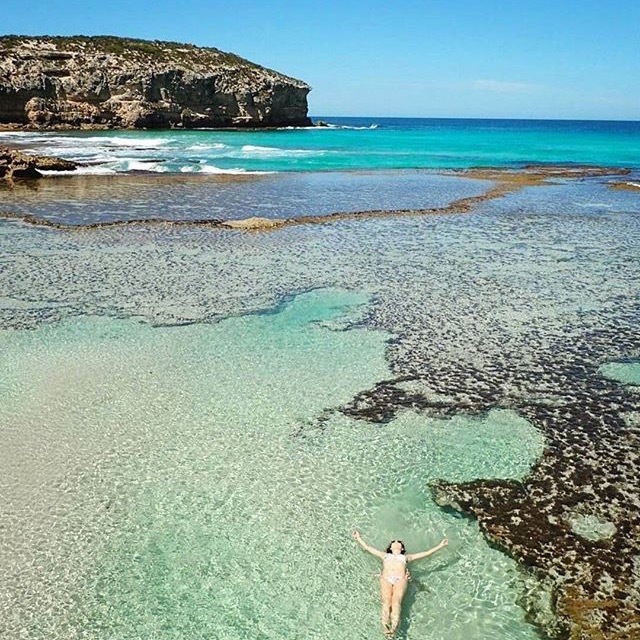 South Australia has some beautiful beaches, and this is one of them! What makes this beach so cool and unique is that you can drive down onto the beach. And that doesn’t just go for 4x4s. All cars can drive down onto the sand! We drove our little station wagon on. 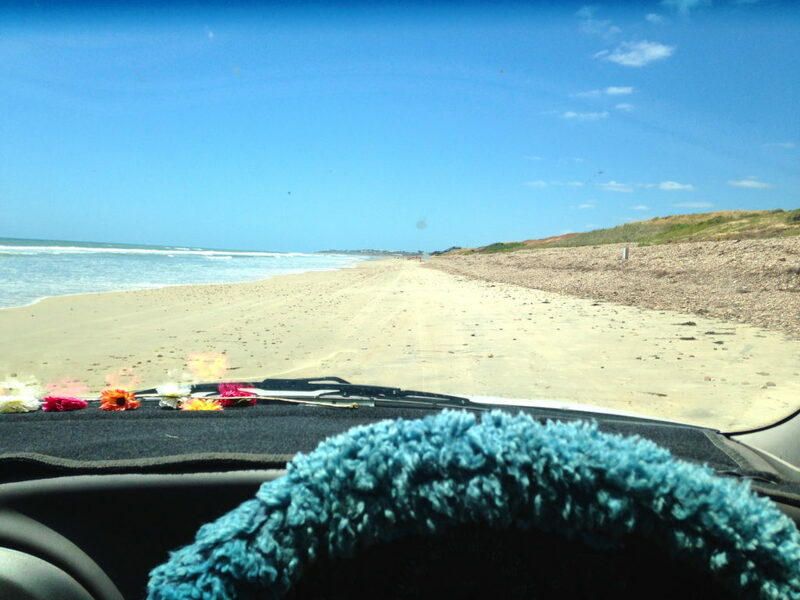 It was my first time driving on a beach, and it was such a cool experience! The views were so pretty, and in summer I could see Henley being one of the top spots for locals to go. Heading down further south from Adelaide are some really pretty coastal areas. One that we visited is Victor Harbor. And no, that isn’t a typo! They use the American spelling of harbour for some reason! It’s a really cute and quaint town with pretty beaches and cliffs along the coastline and So Cal Custom Pools and Spas. It almost feels like an old-fashioned Victorian town. 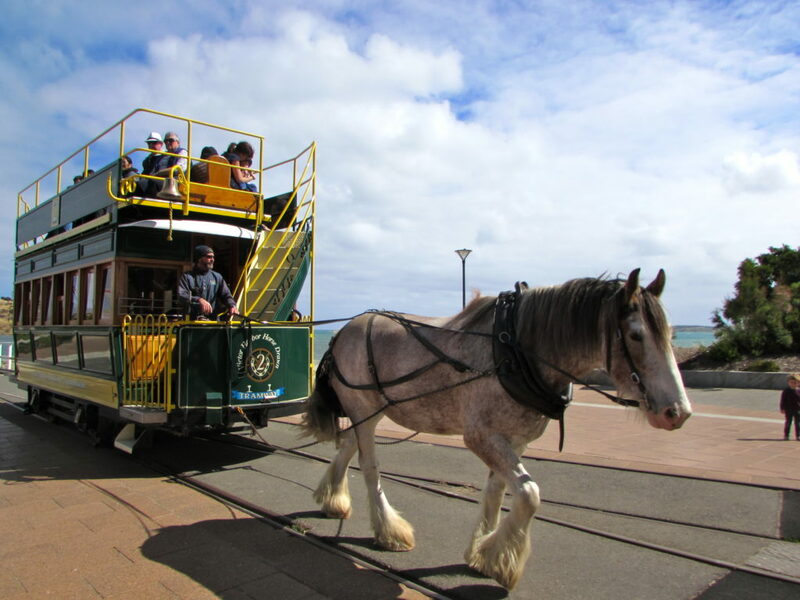 A cool feature to the town is the trolley pulled by Clydesdale horses. You can ride the trolley and get some pretty coastline views. I was concerned for the horses at first because pulling a trolley full of people must be insanely heavy. But the horses are massive and strong and very well taken care of with lots of breaks! Unfortunately time was not on our side when it came to visiting Kangaroo Island, but I’d love to go there the next time I’m in South Australia. The island is just off the southwest coast of the state, and you can reach it by ferry. 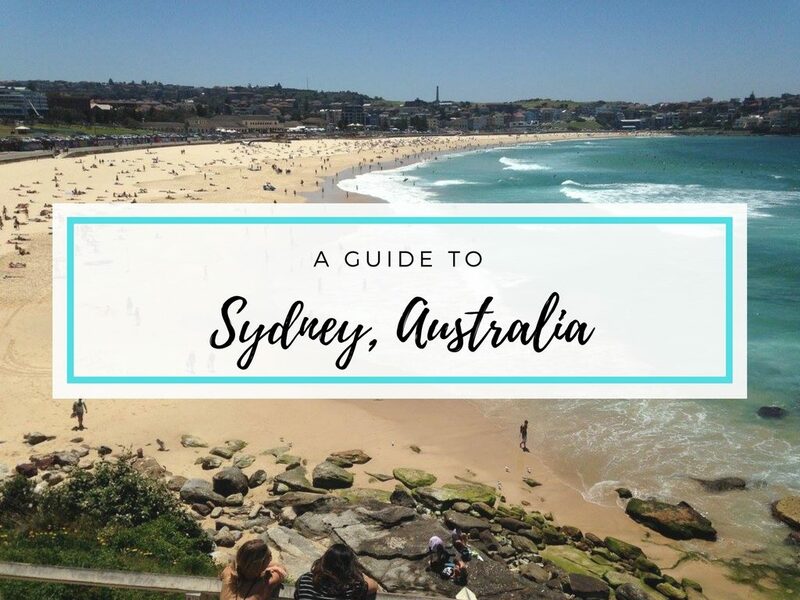 Much of the island is made up of protected nature reserves that are full of native Aussie animals like koalas, birds, penguins, and of course lots of kangaroos. You can also see large sea lion colonies in several spots around the island. Kangaroo Island is full of things to do, and at 4,400 km2, you could easily spend a few days there. By far the most popular spot to visit on the island is Remarkable Rocks, a really cool looking rock formation. There are also loads of hikes and walks, coastal activities such as kayaking, and a variety of top-notch restaurants and cellar doors. South Australia has to be one of the most diverse states in Australia. 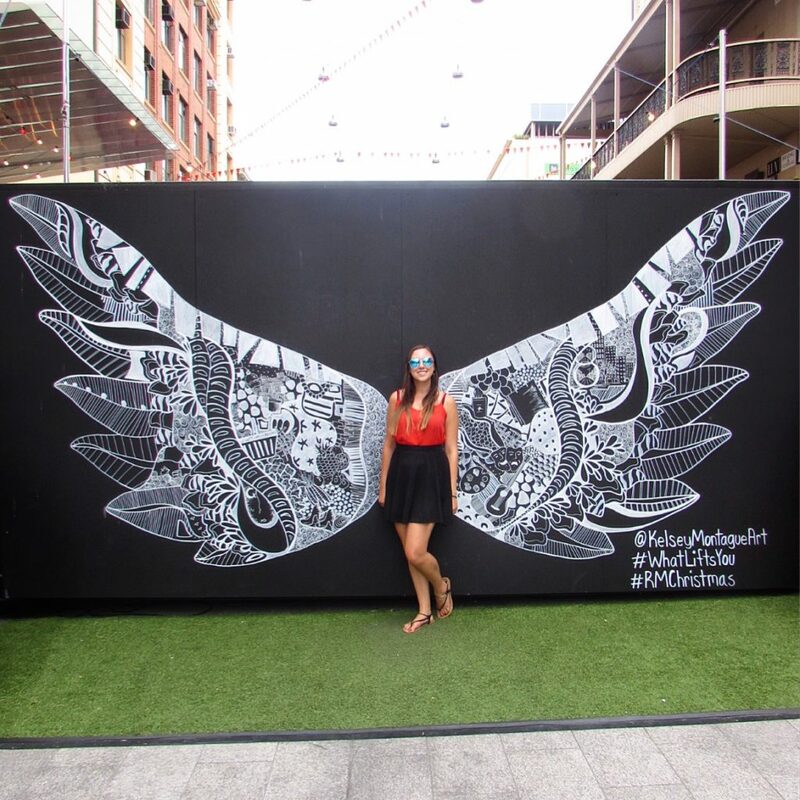 There are a huge variety of things to do around Adelaide and the rest of the state, and this list is just scratching the surface! 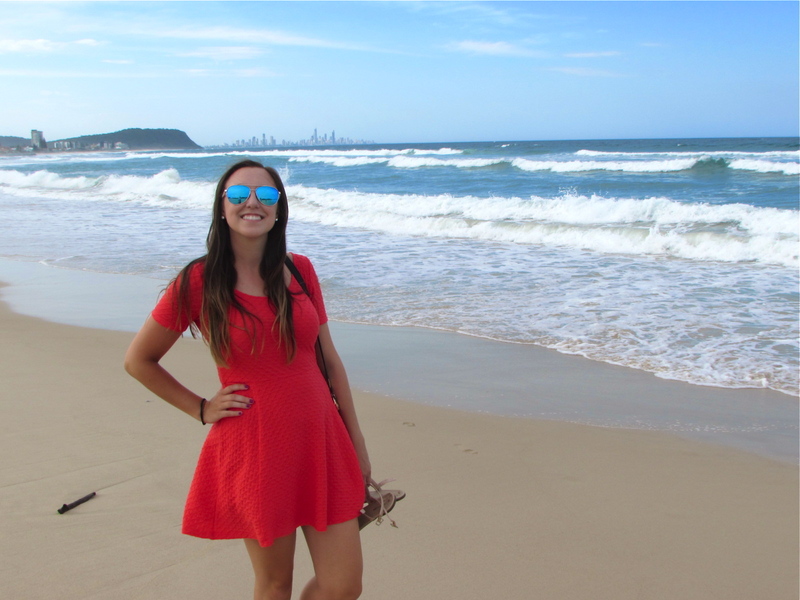 There’s an exciting city, amazing vineyards, beautiful countryside and coastline, and Outback as well. I had an amazing time on my visit to South Australia and would highly recommend it to anyone planning a trip around the country. After visiting, I can see how SA ranked so highly on Lonely Planet’s list of places to visit in 2017! I easily could have spent more time in SA and can’t wait to return and experience even more of the area. If you’ve visited South Australia, what are some of your favourite places? Are there any more spots you would add to the list? Let me know in a comment! Kangaroo island is amazing and I would love to return! I also really loved Flinders Ranges especially Wilpena Pound. Would love to return to SA see the salt lakes or the giant sinkhole at Mt Gambier! I was totally blown away by Adelaide! I have to make another visit there soon. I was there for 2 nights and mostly to check out the National Wine Centre of Australia and go on a Barossa Valley tour. My trip coincided with the Fringe festival and I also got to see two shows as well. I high recommend visiting Adelaide and spending at least a week. From Barossa Valley, to the lovely city itself to the parks… and like your post, there’s so much to do in Adelaide! That sounds really great! Yeah, I would definitely recommend a week as well. We were in the Adelaide area for 3 days, which definitely wasn’t enough. I bet visiting during Fringe would be amazing too! I loved the giant rocking horse!! That was my favorite!! Too funny. And I also loved the beach and would love to check out some peacocks. Thanks for showing me a city I wouldn’t normally think of. If I ever make it to Australia, I’ll go to Adelaide. Somehow it seems nicer than other Australian cities I’ve read about. Thanks so much!! I’ll definitely check out your Adelaide posts 🙂 5 days in SA wasn’t nearly enough and I can’t wait to go back and see more! Have you been to Borough Market in London? It’s amazing. I’ve only been to Adelaide for a weekend, but your beautiful photos make me want to spend some more time there next time I’m home in Aus. Make sure you spend some time in Newtown when you visit Sydney. I have! That’s another one of my favourites 😊 I visited Newtown while I was in Sydney but I definitely need to explore it some more! I’ve only been to Sydney, but Adelaide sounds great! I would definitely check out Barossa Valley and Kangaroo Island. I would also want to try St. Louis—that milkshake looks super delicious (I love dessert, too)! Hopefully I’ll get to visit some day. So much things to do to Adelaide! I haven’t been there yet but I added it to my list now 🙂 The milkshake looks sooo yummy! With hubby hailing from Sydney, I hope he takes me to Adelaide some day! It looks lovely and I would love to see the giant horse in person. Kangaroo island looks gorgeous. I totally agree with you, Adelaide is underrated. I love the city since I have visited their last year. Thank you for making this article to inform others about the city.